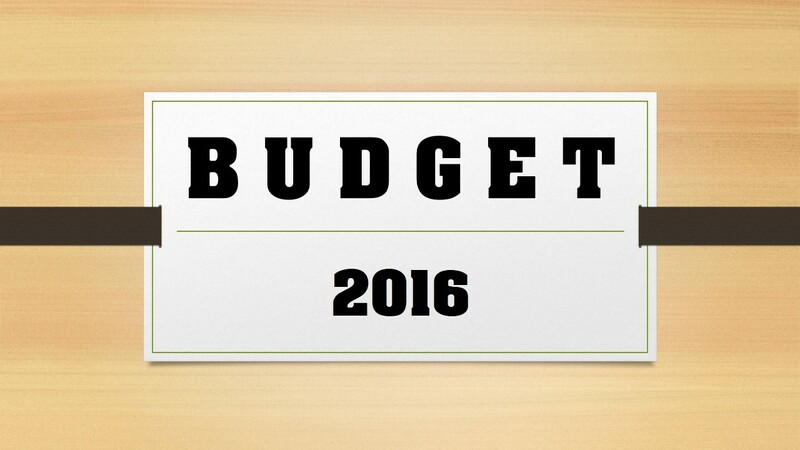 “Budget 2016 has generated positive sentiment among the masses of India. We have seen significant changes in the personal finance structure, a more robust medical program, greater thrust on agriculture and rural development, public investment sector and better governance practices. The government has also announced schemes for improving financial and education sectors. The government has allocated a whopping 97,000 crore towards road infrastructure with nearly 85% of held up projects coming back on track. This will definitely aid the automotive and transport sector and help people get better road infrastructure. Overall, the common man is greatly supported through multiple initiatives introduced in this budget. "We would have expected some measures to promote alternate fuel technologies which would have helped the environment also. We would encourage the government not to just think based on size of the vehicle which has no relation to the technology. Taking older vehicles off the road should be a priority for the government. We compliment the measures and schemes which have been introduced to benefit the masses and also thrust on infrastructure which would have a long term impact on the growth of the nation." Mr. Yadvinder Singh Guleria, Senior Vice President - Sales & Marketing, Honda Motorcycle & Scooter India Pvt. Ltd.
"We welcome the Union Budget. The Honorable Finance Minister has walked a fine rope of balancing social welfare with economic growth. In the backdrop of 2 consecutive weak monsoons, the Government’s focus on rural sector especially farmer welfare, education, interest subvention on existing loans and skill development will inject strength in rural economy. The INR 1 lac crore allocation on road and highways will accelerate connectivity and mobility across all geographies led by rural areas, which is very positive news for overall auto industry. Overall, we expect such measures once implemented, will revive the stagnant demand of 2Wheelers in the rural market." “The Budget places strong emphasis on agriculture, rural economy, infrastructure and social sector. This is what I was hoping for. The resurgence and thrust on the PPP in infrastructure is most welcome. I also appreciate laying down some very clear goal posts on farm income and on village electrification. Perhaps more could have been done for financial sector and taxation, though staying with the FRBM target was an unexpected bold move and perhaps does put some spending constraints on the Government. “The Budget recognizes the serious rural distress in the country over the last two years and the need for a robust rural sector to achieve sustainable agricultural growth. Towards this, the strong emphasis on irrigation - particularly the focus on implementation of irrigation projects worth Rs.17,000 crores during the current financial year and an outlay of Rs.86,500 crores during the next five years - is very encouraging. In addition, a Rs.60,000 crores initiative towards conservation of ground water is laudable. It is heartening to note that an emphasis on MNREGA has been retained although the increase in allocation is modest, as original budget allocation for 2015-16 was around Rs.35,000 crores. We hope to see improved implementation on MNREGA, as the implementation on the ground during 2015-16 was disappointing. The e-platform initiative and online procurement by FCI will give a fillip to farmer realization and transparency. This will be a step towards Direct Benefit Transfer (DBT) for 100% of the subsidies to reach the farmers. Consistency of this approach and articulation of a clear roadmap has a clear potential to deliver on the Government’s Vision to double farm income by 2020. "The Budget is pragmatic and growth-oriented. The Government’s commitment for retaining the fiscal deficit at 3.5% will have sobering effect on the interest rate in general and on the yields of government and corporate bonds in particular. This will place our economy in the double digit growth trajectory. Coupled with agriculture, rural and infrastructure spending including roads and highways, the economy will have a resultant effect of bottom-up demand generation and job creation. The auto sector will stand to benefit by the proposed amendment to the Motor Vehicles Act to allow the private sector participation in the passenger vehicle segment. Amnesty window announced for unaccounted money is a good initiative. However, tax on dividend above Rs. 10 lakh is a big disincentive for promoters / large investors." “The much awaited budget presented by Finance Minister, Mr Arun Jaitley shows immense promise. A net investment of Rs 97, 000 crore in the road sector has been proposed and a total of nearly 10, 000 kms of national highway has been approved by the government. With this proposed advancement in the infrastructure, the country shows that it is now ready for the advent of smart transport options. These initiatives are truly the right ones for stimulating the off- highway products where ZF is present and will be glad to contribute.